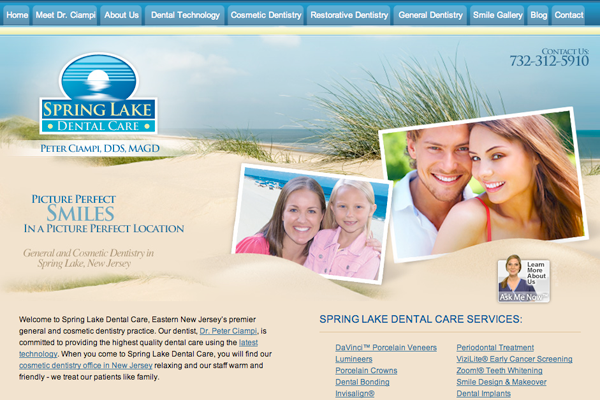 Spring Lake Dental Care is a New Jersey cosmetic dentistry practice overseen by Dr. Peter Ciampi. This bright, easy-to-navigate website boasts a coastal theme, featuring a number of pages devoted to detailed information on procedures offered, as well as a smile gallery showcasing before-and-after photos and an updated blog. The content is optimized for the search engines, and link to a recent local news segment gives prospective patients a video introduction to Dr. Ciampi.